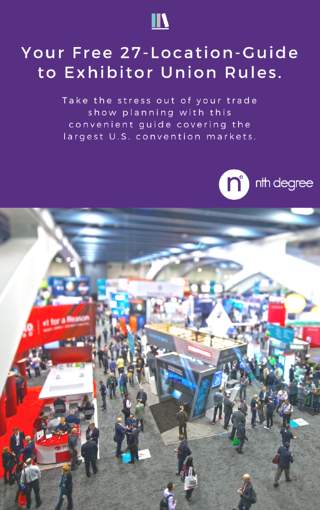 Get your FREE 27-location-guide to exhibitor trade show union rules. Streamlining your trade show exhibit planning. Avoiding costly mistakes on the trade show floor. Getting answers to the most frequently-asked-questions about convention union rules.